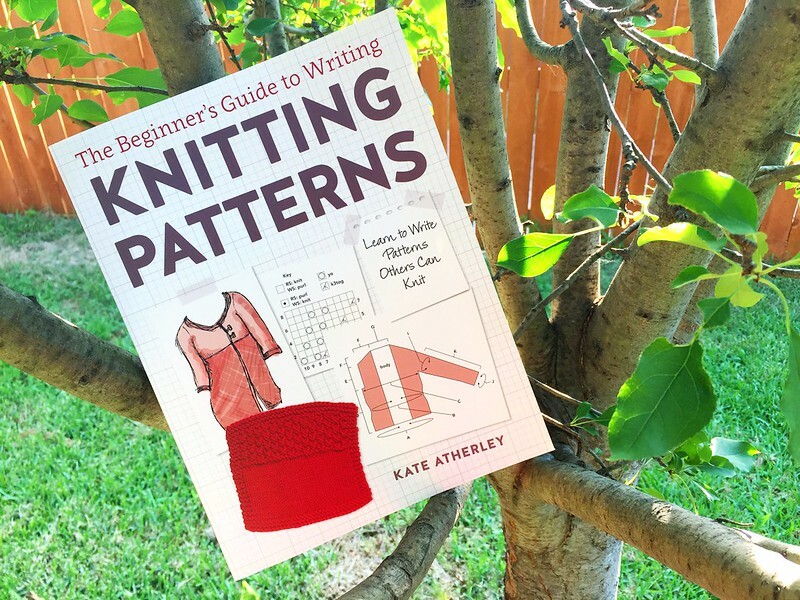 With a little more free time lately, I was finally able to finish perusing Kate Atherley's newest book, The Beginner's Guide to Writing Knitting Patterns. While I may be a bit more than a beginner by now, I certainly don't fancy myself an expert either, and this book has plenty of knowledge to impart to all levels. I've actually had the pleasure of corresponding with Ms. Atherley personally in her duties as tech editor for Knitty, and reading her book feels just like chatting with her one-on-one. Her writing style is laid-back and conversational, a very easy read. I've often said I need to go back and re-issue all my older patterns from when I first started designing, and now I feel even more strongly that I should do so. For one thing, a lot of them are only available as blog posts, which are difficult to print nicely, of course. Even the most popular blog patterns, which I converted to pdfs a few years ago for easier printing, could still stand to be overhauled. I made some classic mistakes back then, mistakes which Kate addresses in her book, things like "continue in pattern as set." Not every knitter is going to recognize the pattern of increases/decreases or cabling or whathaveyou. On some of my patterns, I still get the same questions over and over again. For example, "I don't know how to knit in the round. How would you modify your preemie hat pattern to be worked on straight needles?" While that's not technically a mistake, it's still a simple modification that I could incorporate into the pattern to make it more accessible to more knitters. These are things I would think are common sense now, but looking back at my newbie stuff, that clearly wasn't the case. I suppose reading and writing so many patterns over the years, I've just absorbed some of this knowledge. Kate's book smacks you in the face with it though - gently, of course - and makes you realize just how differently all our brains work. Time to get cracking on some pattern updates and implement some of the things I've learned in my upcoming designs too! Looking to score some awesome craft books for yourself? Checkout the Annual Interweave Book Sale going on right now!